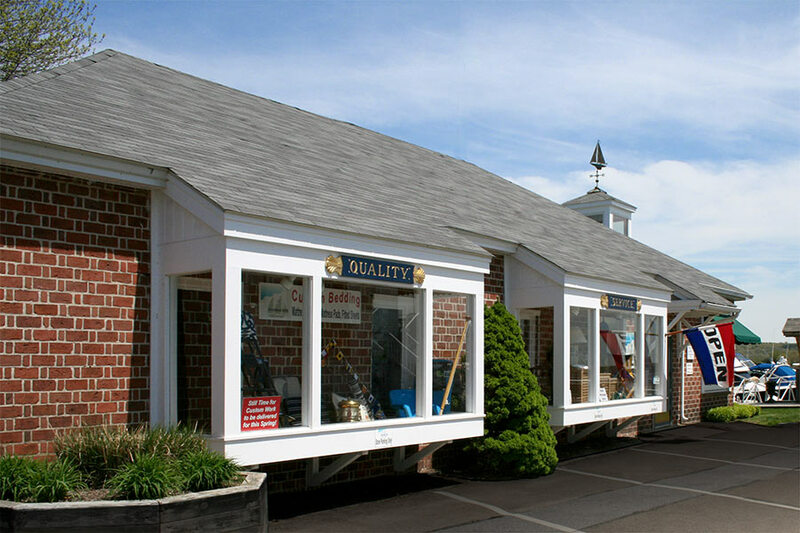 We’re located at a marina in Essex, CT, right along the Connecticut River. Every summer visitors stop in expecting their old boating chandlery which has been gone for 7 years – looking for brass screws of some fitting that most likely hasn’t been available for years. The 100 year old building has been completely rebuilt, but we managed to retain the original charm with interior brick walls, bead board ceilings and beams. Instead of old boxes of screws, we have a myriad of accessories for boaters, as well as a complete decorating service for bedding, upholstery, carpet, curtains and all the latest in fabrics. We even have a photo of the store, or what the was left of the store and docks after the 1938 hurricane hit New England. Essex was voted best small town in America several years ago. If you’re ever near by be sure and stop by our store, we’d love to show you around.